Visit Shred Station at The Facilities Show! 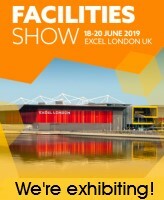 From 18th-20th June 2019, we will be exhibiting at the Facilities Show at London’s ExCel Centre. Find us on stand FM5025 to meet our team of shredding specialists, discuss your shredding requirements, and also win yourself a prize! 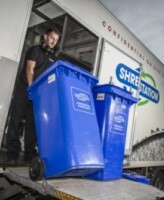 The Facilities Show is the largest FM event in the world, attracting over 12,000 visitors each year..
Shred Station has received CarbonNeutral® certification by working with Natural Capital Partners. This certification demonstrates our net-zero greenhouse gas emissions in accordance with The CarbonNeutral Protocol. 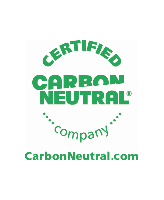 It is the global standard for carbon neutral programmes, and we are very proud to have received this credential. 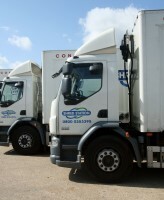 Experts in the delivery of solutions for positive impacts on. A lot of exciting things are happening here at Shred Station over Christmas, so see below for details of our Christmas competition, our plans for Christmas Jumper Day, and our changes to opening hours over the festive period. Win a signed and framed Norwich City FC shirt. We are very proud to be hosting a. The government’s Health and Safety Executive (HSE) Driving at Work Guidelines state that “health and safety laws apply to on-the-road work activities, and the risks should be effectively managed within a health and safety system.” They also estimate that over a quarter of road traffic incidents involve somebody who is driving in a work capacity..
You may have seen several news articles lately stating UN’s warnings to all of us; we have twelve years to save the world from catastrophic changes in our climate. While this may be a daunting and frightening prospect, it also gives us a purpose. We need to work together to make those fundamental changes in.